When living with kids, it’s easy for our homes to become awash of plasticky furniture and lego accessories. It is also easy to impose rules of living or style that limit the fun and creativity that children naturally seek. 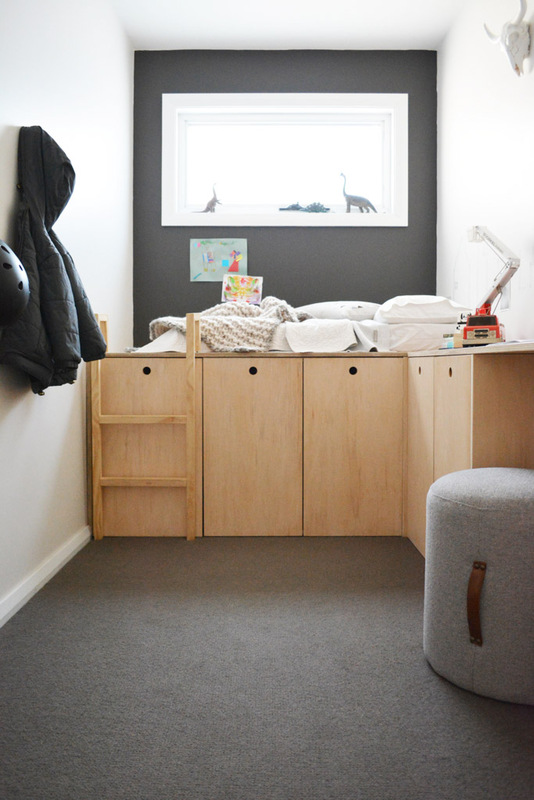 But bridging the gap between adult and all-inclusive child living can be achieved, and the results leave a space feeling calm, organised and cohesive. Pare it back. 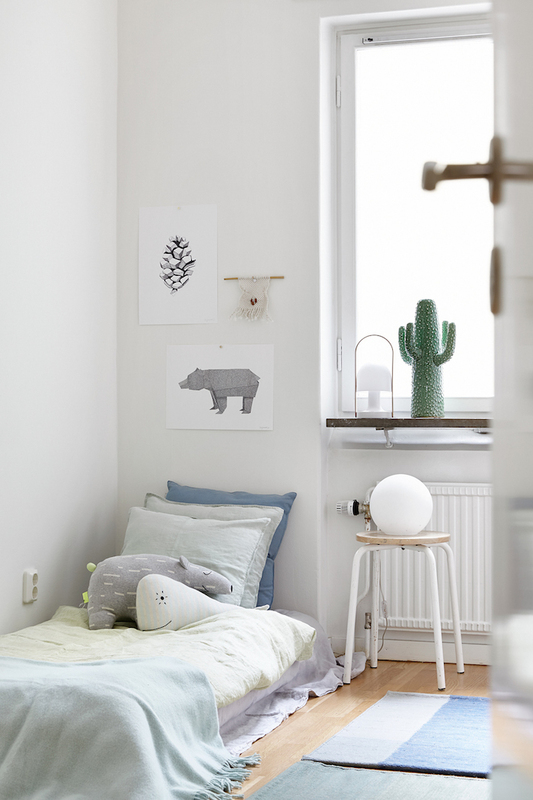 When entering a childs room, we are often met with bold colours and licensed duvet covers. There’s no escaping them, it is after all a child’s space, but we can be clever in how we allow them in. First, lose the guilt over creating a ‘fun’ and ‘exciting’ bedroom, and get on board with a mellow and relaxed space that flows from the rest of the home. Children experience so much stimulation during their day that a soft and restful colour scheme can allow them a place to recoup and just be. If theres a special licensed character they must have (in my home, these are usually purchased by their Nan – thanks mum) don’t squash their enthusiasm, merely be clever by adding them to the sheets or pillow cases which can be hidden under softer toned duvet covers and pillows. Out of site generally, but a special hidden treasure at bedtime to cater for their wishes too. Or pajamas. Mum, you can buy them pajamas. Hide and seek. In every calm and organised home is great storage. Having friendly clutter on display is important and necessary to avoid a stark, minimalist look, but hide the remainder behind closed doors where you can. It clears the space for relaxation, and removes the overwhelm a room full of ‘things’ can create. Think creatively to gain more from your space. Bedside tables are an underutilised storage hub, and custom-built furniture can house concealed storage nooks to make the most of the smallest spaces. 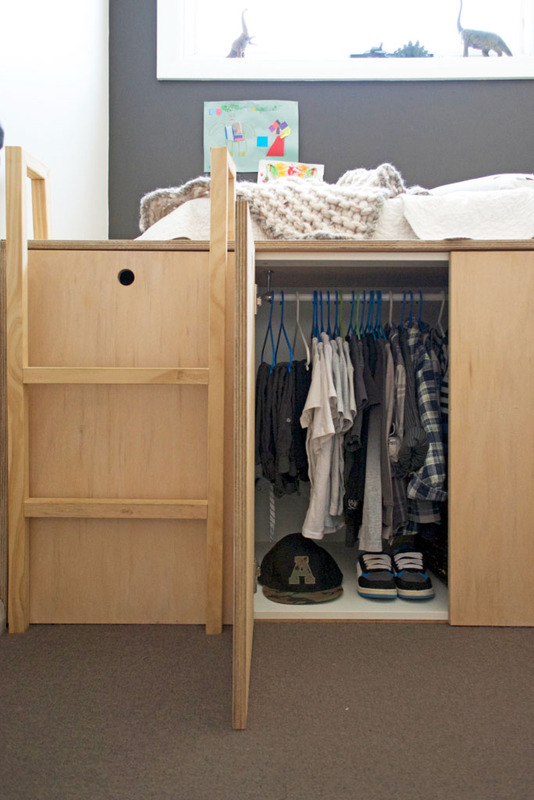 If budgets allow, customising cabinetry and furniture can create a place for everything. Design low and at their level. Nothing appeals more to a child than their own pint sized furniture and access to their belongings. Consider re-arranging their wardrobe layout to a level they can access so the necessary shoes, socks and undies are all within their own reach. This applies to much of their daily activities – think a gorgeous timber stool in the bathroom, a floor length mirror in their rooms – it needn’t be an eye sore to cater for their needs – but what it does offer is less frustration in their space when going about their day. Less is more. You’ve heard it many times, but when it comes to integrating adult-child living, paring back our amount of ‘stuff’ in the home is key. Children need for much less then we believe, so a regular clean out of the toy box (which is ofcourse a beautiful sisal basket or old storage trunk with character) and a de-clutter of their display shelves makes way for both restful surroundings and more creative play when they are faced with less choices. 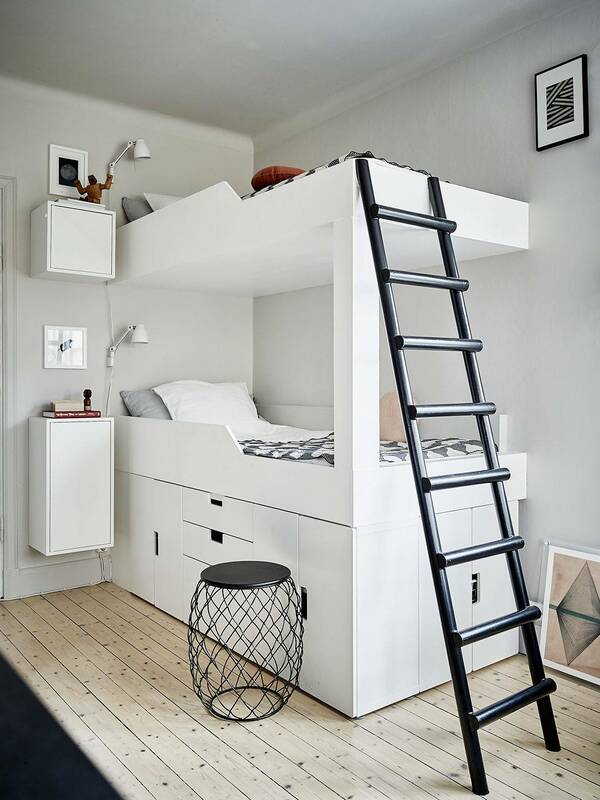 Above: A neutral room doesnt need to be bland – a loft bed makes for imaginative adventures and robust climbing swing adds to the fun. Don’t be too precious. Invest in the best furniture you can afford, choose hardwearing where you can, set a few gentle rules and then relax. 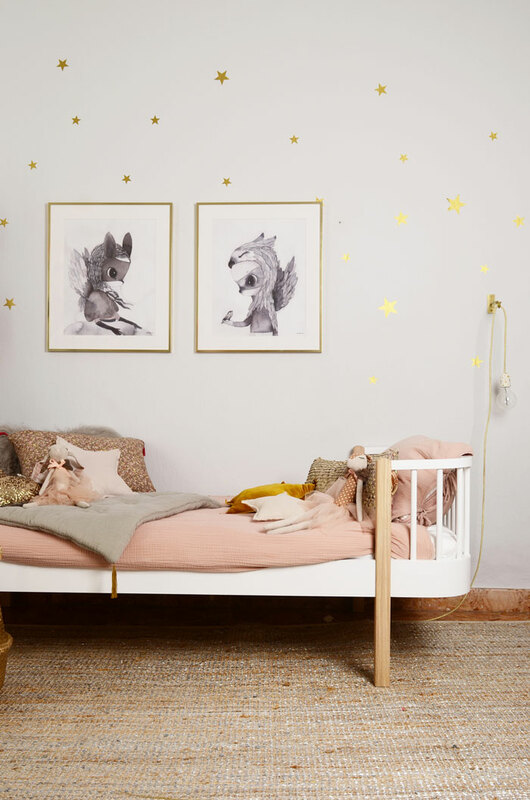 Your space will be knocked about, the kids will rough and tumble on the bed, and life will be lived.